The location and condition of this property can’t be beat. I would come back anytime. The location was ideal for our night at the theatre, walking around the West End, to the British Museum and close to the Piccadilly line to get to and from Heathrow. The bathroom is small but perfectly okay for us. It was hot in the apartment, so at night we had the windows open and the fan on. It was noisy at times but we still slept well. Lou is a good communicator and we would have no hesitation staying here again. The owners, Lou and Ori, knew that they would not be in town to check us in and communicated with us in detail to ensure we could be greeted and access the flat on our late morning arrival, even though the normal check in time is mid-afternoon. 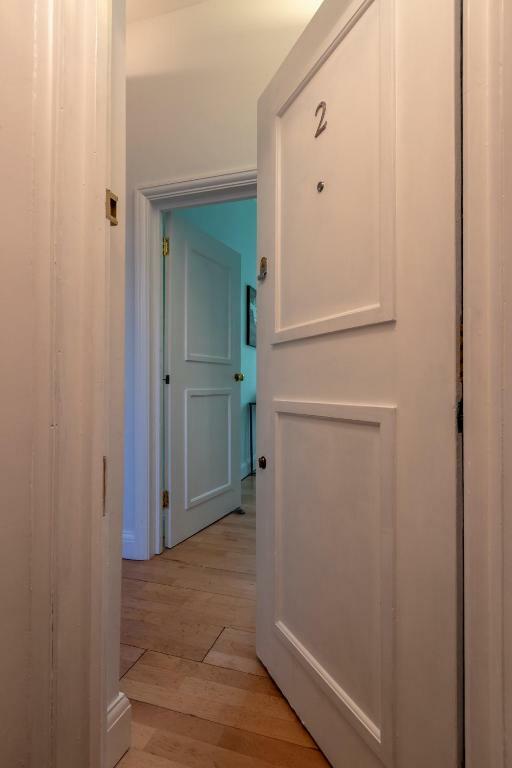 Even though the flat is in a terrific location, just two short blocks from the Covent Garden tube station and the great shopping on Long Acre, it was remarkably quiet at night. The flat was for the most part very well equipped, the heating was effective and easy to control, and the beds were firm and comfortable. We had a wonderful stay, and I highly recommend the flat. The location of the apartment is ideal. Also it was very comfortable, clean and very well equipped. The rooms and furniture we're very good and clean and overall the ambience was very cosy. The host was great! Location is perfect, right in the heart of the city. I liked the apartment layout. Having that extra 1/2 bath upstairs with the living room/kitchen was very handy. The sleeper sofa was comfortable and made sleeping 6 people very easy. The kitchen had all the gadgets needed to cook and the apartment was nice and light and airy. The host was very friendly and even left us a tasty little welcome basket. Host was very helpful and accommodating. 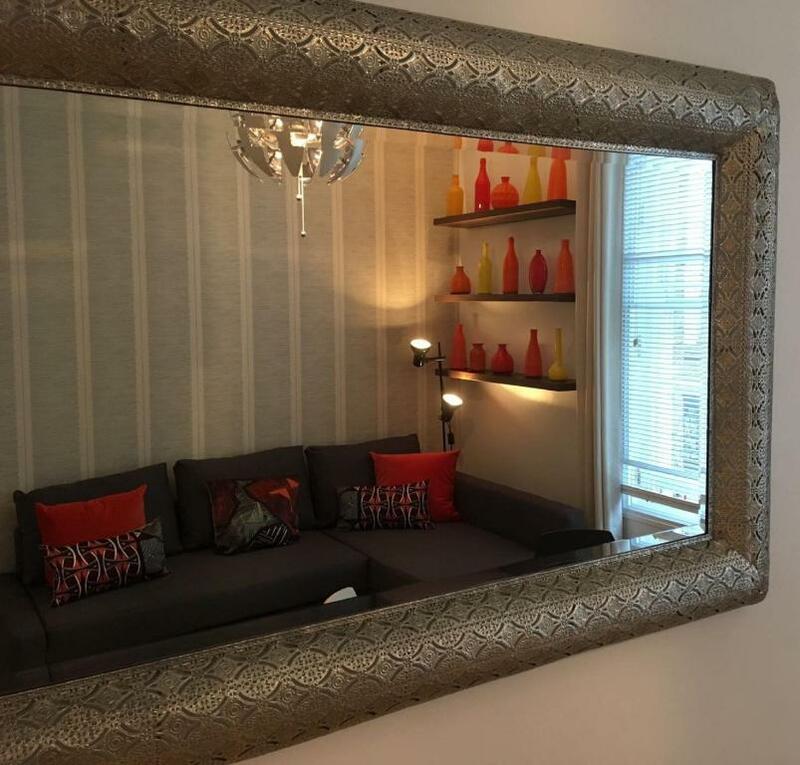 Apartment was superbly located, close to tube station and everywhere we wanted to go. Beds were comfortable, rooms were warm and we had everything we needed. The property and service provided by the hosts was excellent. 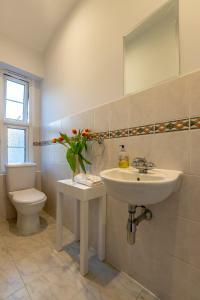 The flat was well appointed and accommodated our party of 4 adults and a toddler very comfortably. We would definitely stay here again. 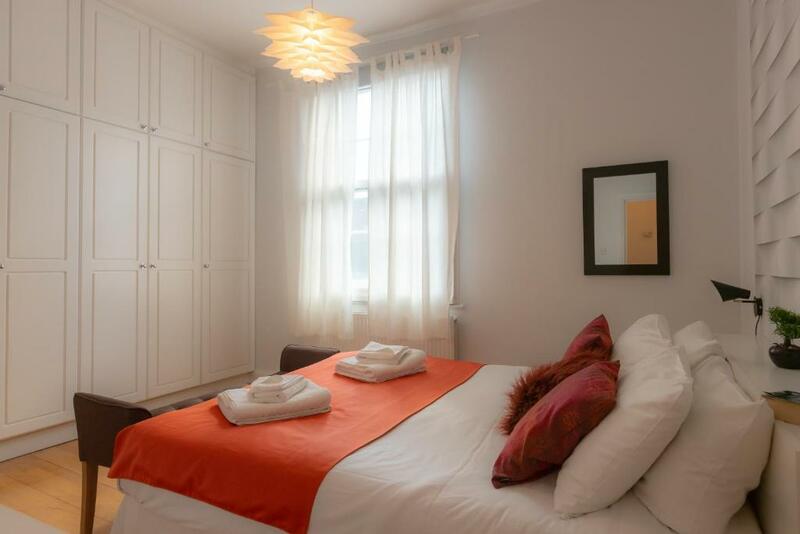 Lock in a great price for Tutti Frutti Apartment-Covent Garden – rated 9.7 by recent guests! 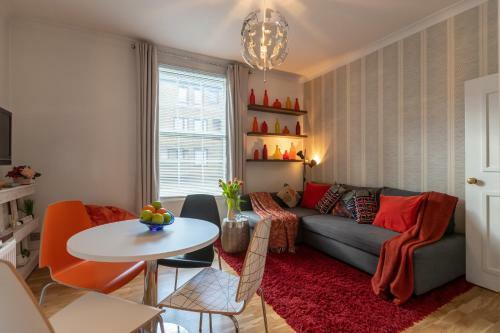 Tutti Frutti Apartment-Covent Garden This rating is a reflection of how the property compares to the industry standard when it comes to price, facilities and services available. It's based on a self-evaluation by the property. Use this rating to help choose your stay! One of our best sellers in London! 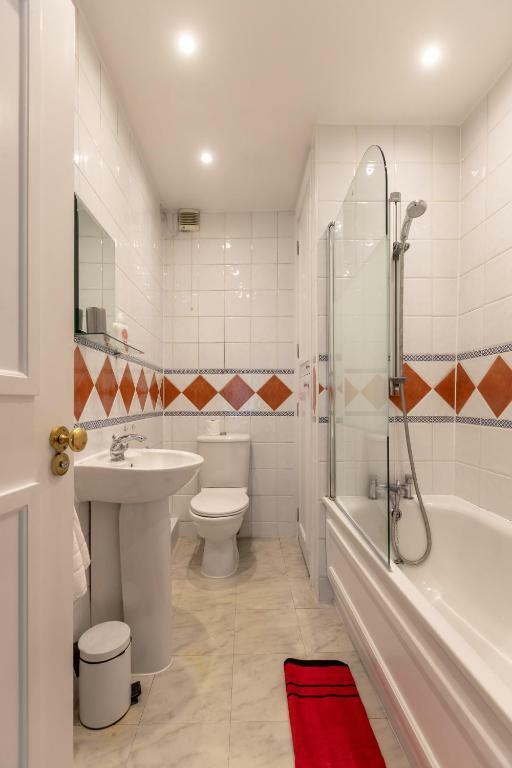 Located in London, a 3-minute walk from Royal Opera House, Tutti Frutti Apartment-Covent Garden has accommodations with free WiFi. Each unit offers a fully equipped kitchen, a flat-screen TV, a living room with a sofa, a private bathroom and a washing machine. A dishwasher and coffee machine are also available. 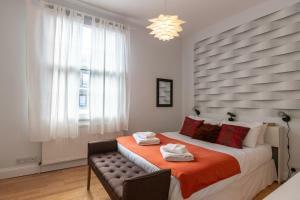 Covent Garden is 1,200 feet from the apartment, while Lyceum Theatre is a 5-minute walk away. 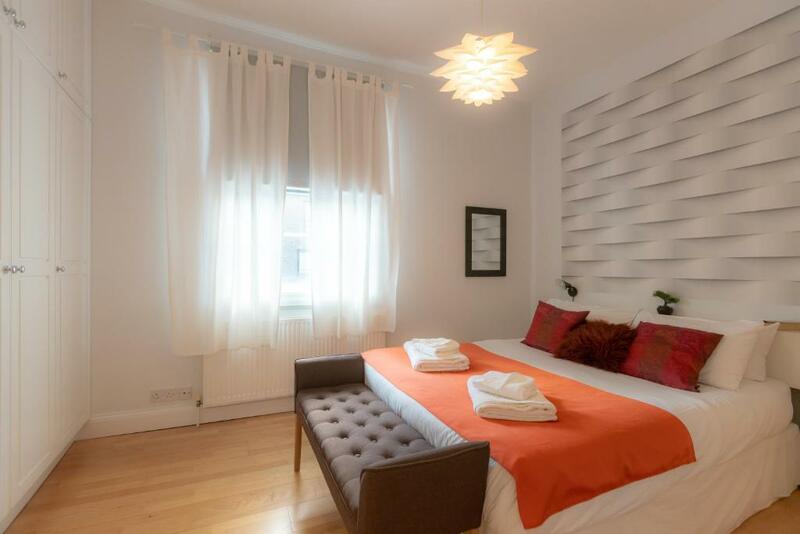 The nearest airport is London City Airport, 9 miles from Tutti Frutti Apartment. 뀐 Located in the real heart of London, this property has an excellent location score of 10.0! 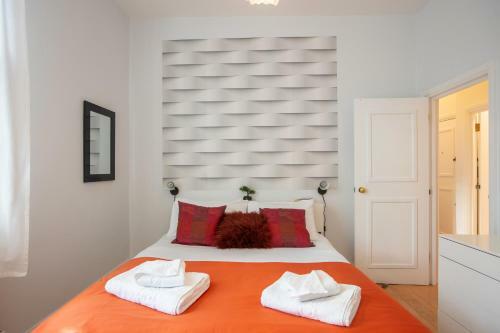 When would you like to stay at Tutti Frutti Apartment-Covent Garden? House Rules Tutti Frutti Apartment-Covent Garden takes special requests – add in the next step! Tutti Frutti Apartment-Covent Garden accepts these cards and reserves the right to temporarily hold an amount prior to arrival. A security deposit of GBP 350 is required on arrival for incidentals. This deposit is fully refundable upon check-out and subject to a damage inspection of the accommodations. The street noise from the surrounding bars was a bit loud at times, especially on Saturday night. Also, every morning the trash collector would come bright and early and make some noise collecting all the glass bottles. But this is a small price to pay for being in such a great location - central to everything. I wouldn't hesitate staying here again! Everything was perfect. Best place to stay in Covent Garden, London. Everything facilities great, owners met us there very helpful. Ideal location round the corner from Covent Garden. Would definitely go again thank you. At night it was a little noisy with people leaving the local bar but it didn't last too long. Very spacious clean apartment. Decor was clean & crisp. I wasnt aware it was over two floors until we had arrived. Met Ori fantastic lady welcomed us on arrival. Had left some cakes & treats tea & coffee for when we arrived first. Great to have 3 bathrooms as there was 6 females sharing. Also great to extra towels & sheets left out for us to use. The apartment was advertised as a two bedroom apartment. The second bed was actually the couch that converted to a large fold out bed. This did not provide the privacy to my 19 year old son that he was expecting. The only other issue became noise on warm nights as the apartment is above a wine bar and a half block from a busy local pub. As it was warm during our stay we tended to have the windows open and the wine bar and pub were busy until the early morning, which made for lots of street noise. Also there was a nightly garbage pick up. The garbage from the wine bar and pub was usually lots of bottles and therefore was quite noisy. We were greeted upon arrival by one of the owners, Lou. He provided us with the keys and gave us a tour of the apartment. He and his wife, had made sure that the apartment was stocked with special items like, coffee, tea, bottled water, cookies, Doritos, toiletries and various other extras. They also made sure to have adaptors, in case we had not brought any. He told us about the apartment and the area. There was information about places to eat and places to visit, as well as Tube Maps. The apartment was clean and beautifully decorated. It was close to shopping, restaurants and Covent Garden. It was a short walk to the Covent Garden tube stop. We liked that it was centrally located to many attractions and close to the tube station. Lastly, we had to cut or stay short and the owners expressed compassion and concern. They appeared to be very concerned that their renters have a good time when staying at their properties, which I greatly appreciate. We really enjoyed our experience staying here.